Silverline meditech is counted among the topmost manufacturers and supplier of a high grade CPAP machine in Ahmedabad, Gujarat. CPAP stands for continuous positive airway pressure. 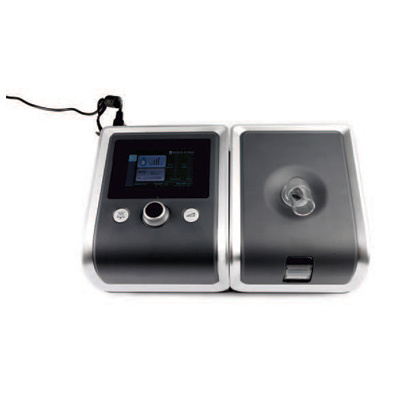 CPAP machine highly deliver constant rate of purified air and prevents shifting tongue and soft palate into airway. Machine is highly famous among our customers for its trouble free functionality and longer service life. Also utilized in non-surgical treatment and comprises three main parts including motor, hoses and mask. Made up with best quality components and cutting edge techniques to ensure international standards. The offered machine is available in various different models with all medical standards. Moreover, we offer this at very nominal rate to our clients. Sr. No. Technical Features Model No.